I’m an American. I didn’t start dancing until I was nearly 18. Well, I danced a waltz as a small child standing on my dad’s shoes at a wedding once. I did have some friends that did ballet, tap, and jazz, memorizing positions and sequences to be put into choreographed end-of-year recitals. I also remember hearing about cotillion from the wealthier set, the dreaded classes in which young adolescents had to memorize steps to prepare them for formal social occasions. Really, though, dance just wasn’t something I had in my life growing up. That’s true for an awful lot of us, not only in the United States, but also in many other countries. Plenty of us did hardly any dancing when we were growing up. 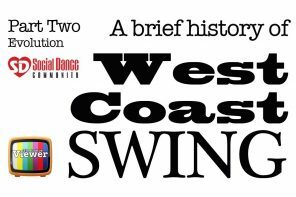 For those that did dance as children, quite a lot took classes in a tradition that had an established syllabus (ballet, line dancing, ballroom, etc.) Plus, hey, most of us spend huge stretches of the day sitting in a chair. We are part of a non-movement culture. Have you ever been in a dance class where you felt like absolutely nothing was being explained to you? Where the answer to every question is “Look!” unless maybe the instructor comes and dances with you to show you what’s wrong? Where you left feeling inspired but pretty much clueless about how to make your body do what it’s supposed to? Welcome to the disconnect that can occur when a class of students from non-movement cultures try to learn from someone from a movement culture. If you are from a movement culture, you grow up moving to music. You see your parents, aunts, uncles, grandparents, and neighbors dancing. You mimic their movement and learn to make it your own. You don’t think about needing classes – your relative or schoolmate can always show you something new. You watch, you feel, you dance. Have you ever been in a class where you felt the teacher did nothing but talk? Where you never got a chance to try things yourself? Where questions took up way too much class time? That’s an example of the flipside, a teacher from a non-movement culture teaching to students from a movement culture. Now of course, sometimes inadequate teaching experience or understanding of the dance can lead to one of these situations. But I’d like to give us some awareness of the honest confusion that occurs when people from these different cultures try to learn from and with one another. I could name many examples from my own experience, but one in particular stands out. 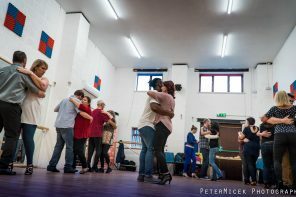 I was learning kizomba ladies’ styling from a wonderful dancer from Portugal. She has taught all over Europe. She has a clear order to her class and is patient with students. She looks to see whether students are following and what their problems are. She is absolutely a competent teacher. Yet when I was in her class I felt like I understood nothing. I could see her move. I could tell that what I was doing looked nothing like that. I tried to move my pelvis correctly, but not only was that impossible, but I couldn’t hold my shoulders or knees immobile the way she did. She came to correct me, tried to block the incorrect movement, but I was lost. Fortunately I was a very determined student, and I had a lot of time to practice on my own. I kept trying. I created exercises for myself to try to loosen certain areas and strengthen others. I returned to her class again and again to see her move again, and to try to understand the further adjustments that needed to be made. Eventually I had some passable movement. Similar things happened when I was learning partner work in kizomba. “Do it like this,” was sometimes clear, but I wanted to know why, and more detailed how. At the time, I thought it was a personal problem. 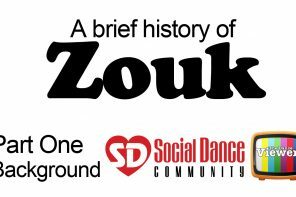 With years of structured explanations in lindy hop, plus a teaching degree under my belt, I was just expecting kizomba to make sense in a way that aligned with my own learning experiences. Or maybe I was an auditory learner, and needed to hear the explanation. Or maybe it was just my personality. I didn’t realize until much later that this represented a cultural divide. I became much more patient with teachers and students that didn’t fit my own expectations or preferences. I was able to adjust and improve both my learning and teaching. I’m not here to say that one way is better than another. What’s more, there are plenty of differences among individuals (visual/audio/kinesthetic learning styles, personality, previous experience, preferences…). However, when you look at the idea of movement and non-movement cultures, a lot of things start to make sense. I’ve made a little chart as a quick reference that may help. I encourage you to try “cross-training” and also have patience for those on the other side of that divide. After all, in the end we are all hoping for better dances with each other! Thanks for the explanation Rachel! That makes a lot of sense!! Loved it. And what a lovely instructor Tania is… Love the way she communicates with her students… Very special. Keep spreading the love!! Love this post. Thank you for sharing. I love what you said about how you became more open to different styles of teaching and different teachers. I love your analysis of the impact of culture on communication in teaching/learning process. I love that you encouraged others to “cross-train,” or explore both sides of the divide. This, I think, is the ultimate growth of the student. As we grow as students we are able to learn from a wider variety of teachers, as well as retain lessons through a wide variety of mediums and methods. We become more robust at speaking the languages of learning, and can understand much better the messages being sent by a diverse array of teachers. I’d say the same for teachers. As we become more robust teachers, we learn to deliver our messages in a wide variety of styles and methods, and can speak the languages of learning of a diverse array of students. A balance of the dichotomies – movement and non-movement, embodied and verbal, thinking and feeling, structured and creative, head and heart, “left-brain” and “right brain,” science and art, lines and curves, mechanical and spontaneous – is what makes us more diverse, well-rounded, relatable, and easy-to-connect with dancers! I agree, there are so many different aspects to consider when we are trying to communicate these concepts to students! A key takeaway from this for me was how you created exercises for yourself to teach your body how to move differently. Highly resourceful! In addition to that and imagery, we teach beginners to learn both roles to develop kinesthetic awareness for what their partner wants to feel, plus ideas on teaching yourself how to learn, such as with your ideas here.